I’m going through a green bent at the moment. I’m not going out and hugging any trees but I like doing what I can to minimise my footprint on the planet. Little things, like growing herbs out on the balcony, hanging out the washing instead of using the dryer, and worm farming. While reading a book about the latter – a book called Organic Growing With Worms by David Murphy that spends several chapters teaching how to set up commercial worm farming operations – all kinds of grand ideas entered my mind, one of which involved turning dry, arid desert properties at the outer fringes of populated areas into arable farming land, simply by taking people’s organic waste and processing it through a commercial-scale worm farm. Furthering the delusion was a networking opportunity through a friend, who could introduce me to a person who owns a large scale waste processing operation. I have many similar harebrained business ideas*, but the reason why none of them, including this one, are likely to succeed is because there’s no economical value in putting things back into the environment. We have all kinds of economic devices for pricing stuff that we dig out of the ground, but not a single blessed one on putting back in (and I’m not talking about the $25 entry fee to dump your trailer’s worth of trash into landfill). Let’s dwell on that for a moment. We have prices for everything that we do to destroy the planet, and capitalism and consumerism have caused these to keep inflating. Things that benefit the environment however, have no value. Sequestering carbon, using less water, not using plastic bags, etc. the means of controlling these things are all stick, no carrot. The point is, no “green” ideas are commercially viable unless we have a carbon price, because the costs to implement them are very real, but the “profits”, which can’t yet be measured in dollars, aren’t. Once a carbon price is set, then, and only then, will the innovation (and benefits) follow. Don’t get me wrong, this doesn’t mean that I’m going to vote Green at the upcoming election. The only association I make between the Greens and the word “environmental” is the “mental” part; but that’s another post altogether. What I am trying to do here though is to offer up a my perspective on why I believe the carbon tax currently put forward by the Government is so important, regardless of whether Julia Gillard broke an election promise or not. She’s not the first politician that’s ever lied, and as much as the rhetoric is preventing her from saying so, I’d rather suffer a politician that corrected their mistakes even while refusing to admit it, than one that kept their word based on a deeply held but flawed belief. 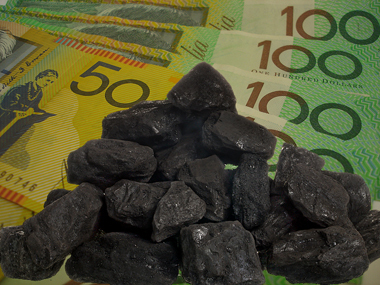 Do you think a carbon price will make a difference, or just create more problems than it solves? Take organic waste (think green bins), convert it into charcoal through pyrolysis, and bury it in the desert thereby potentially turning dry, useless properties into farming land (see how).